The last version of Project Configurator (v 1.13-JX), released last week, is focused on draft management for workflows and workflow schemes. From the end user point of view, its most relevant feature is the option to publish those drafts automatically. 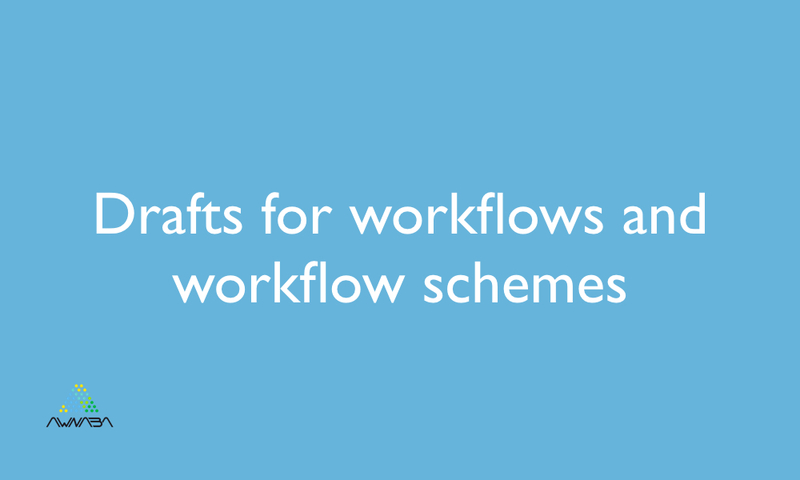 This feature will publish draft workflows and draft workflow schemes that have been created during the import, unless user input is required to map statuses of existing issues under the new workflow scheme. The decision to publish or require user input is made taking into account which existing statuses are not available in the new workflows, and whether there are actually issues in those statuses. This reduces the need of user intervention to the strict minimum. When user input is required, the import results page will include warnings with direct links (that open in a new window or tab) to the pages where the user can map statuses and publish the drafts. With this guide, the admin can usually finish the job in very few clicks. More information can be found in our wiki. The same scheme has been implemented for assigning a new workflow scheme to an existing project: automated issue migration whenever possible or facilitated user input to map statuses. Read the full story here. In the end, it is all about reducing work for the JIRA admin. Automated draft publishing completely eliminates or reduces substantially another manual task.